Hey Kandee, I was wondering if you could list your work? Like who have you worked on? What movies and tv shows? I heard you say most recently was Conan, that inspired me to learn more about your work history. And Happy soon birthday! How come you like to hide your age? Keep of the great blogs- you're terffically amazingly awesomely beautiful! Hey, I really love your makeup in this video, is it one that you have already posted? what make up is that...i love it! kandee! Can you do the makeup that kim kardashian had for jimmy fallon? I love your whole look! Hi! I just came across one of your makeup videos so I would love it if you can please re-create this look? 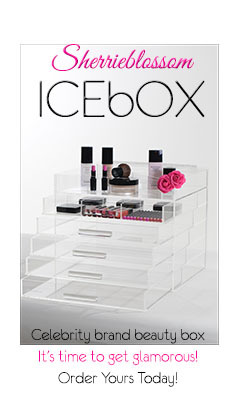 http://www.makeupbag.net/wp-content/uploads/smashbox-spring.jpg Thanks! OMG, All this is So great so as you. Also, I am wondering if you could give us tips on how to get make up to last and how to get it so it doesn't rub off during the day! Thanks!!! I am dying for an Olivia Wilde (From House MD) eye make up tutorial. I cant figure it out she has that cat eye but the line like a shadow more than full on eye liner / make up. I understand she's blessed with good genes but still there's some sort of trick to that non existent looking eye make up. I can't beg you enough to do her next. Please pleae please please!! You kinda sound like Gwen Stefani! It's that California Girl accent. Haha! Thank you for your videos! Now it is so much fun doing make-up and trying all the different looks!Since I am a vegan and I use only make up that is not tested on animals, I was wondering if you can make a video with only not animal tested products. It would really be helpful, since lots of stuff you use is not on the 'cruelty-free list' and I don't know what would be the best alternative. Thank you and keep up the good work! Pleasee do a Kristen Stewart hair tutorial. I just wanted to say that I'm so happy I found your videos on youtube. I look forward to looking my makeup now everday. I've learned so much! Could you do a video on like a Kate Beckinsale look from Pear Harbor (The whole red lip kind of look and what colors to use with your skin tone). Pleaseee! Such a cute updo! My hair is short but I have done it on my little 5 year old and it looks amazing. She gets SO many compliments when it's like that! Thank You!